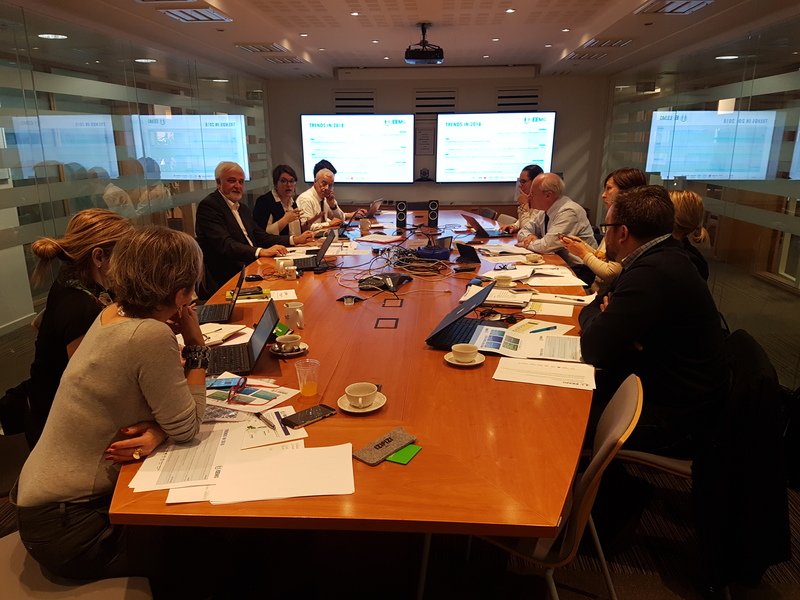 During the EEMG annual meeting in Brussels on last 23rd October, members shared and discussed about their activities in presence of the European Commission representative. 1 year passed and it’s already time for the EEMG annual meeting. For one full day, members shared and discussed on topical issues related to their activities, while highlighting company mediation advantages in presence of a European Commission representative. On last 23rd October took place the European Energy Mediators’ Group (EEMG) annual meeting in Brussels. This meeting is an ideal opportunity for members to exchange and discuss their activities and practices, as well as the hot topics of the energy market. This gives them also a chance to present the group’s positions on some issues to the European Commission, which is always represented. Were present to this meeting Mediators and collaborators of EDF, EDISON, EDP, ELECTRABEL, ENGIE et VATTENFALL. Sharing was at the core of the day, thanks to a convivial work environment. On the morning, members exchanged on the past year. The EEMG was particularly active by participating at numbers of European events dealing with energy, consumption and ADR issues. For example, the CEER annual meeting and the ADR Forum of the European Commission in June, or the Citizens’ Energy Forum in Dublin in September. It is indeed important to make the voice of company mediation heard in this kind of events. An overview was also given on the data of the group, collected thanks to each member. The EEMG covers in a 60 million customers scope, so 60 million of potential complainants, and handled almost 14 000 mediation cases in 2017. Same trends have been highlighted in all countries, even though the energy market can be quite different from one country to another. Members noticed, in majority, a drop of claims in general. Besides, in member states in which the smart meters roll-out is complete, disputes related to consumption have drastically decreased. It could mean that the market is relatively mature regarding old practices. In parallel, a sharp increase of complaints related to new offers can be underlined. It covers new practices as well as new products. Bundled offers may become an issue in the future and, for this reason, members have decided to be proactive by working with companies in order to better grasp problems to come. This is a true advantage of company mediation when it comes to bundled offers : company mediators can handle the whole dispute, whatever the issue, as long as the offer was developed by the company. Consumers is sure to have his dispute completely covered and benefits from a high level of protection ! This point was emphasized during the afternoon in front of Constantina FILIOU, representative of the European Commission for smart-meters issues. She was very attentive to members feedbacks on their activity and on disputes-related data. She also perfectly grasped how the EEMG and its members are a relevant and important source of information regarding energy and consumption issues. For her part, she mentioned the Trilogue discussions on the Clean Energy Package, while focusing on smart meters dispositions. The day ended by a presentation, by each member, of his/her progress recommendations, in which he/she provides suggestions or guidelines to improve the company process and practices. This moment of sharing is very rich, each mediator being able to get inspired from others’ practices. This is also a great moment to convince the European Commission of the work done by the EEMG in order to build a better-functioning of the energy market and to provide a complete protection for consumers. The next annual meeting will take place in Lisboa and will focus on a very hot topic : digitalization.